The talented legal team at Gordon Law Group is headed by Philip Gordon, a leader in employee advocacy law. 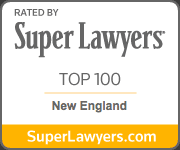 Recently named one of the Top 100 Lawyers in New England (2013) and a Massachusetts SuperLawyer for the tenth consecutive year,* Philip is a sought after attorney whose opinions on key legal issues make a difference. Gordon Law Group’s history of swift and successful resolutions on behalf of our clients has earned us a reputation for excellence in employee advocacy. Our firm focuses solely on you, the employee – from service workers to CEOs. We provide a full range of services including litigation, arbitration, contract negotiation and mediation. The power to be treated fairly – when you need it most. What does the Gordon Law Group expertise mean for you? It means that your side of the story will be accurately told and fairly heard. It means you can avoid legal wrangles and find the solutions you’re looking for. It means that the power to be treated honestly and equitably is at your fingertips – right now. Call us today at 800-403-7755 to schedule a free consultation. We’re always on top of the latest cases, changes in legislation and developments in employment law. You can check out our LawBlog for the latest employment news or our specialist Executive blog at www.representingexecutives.com.